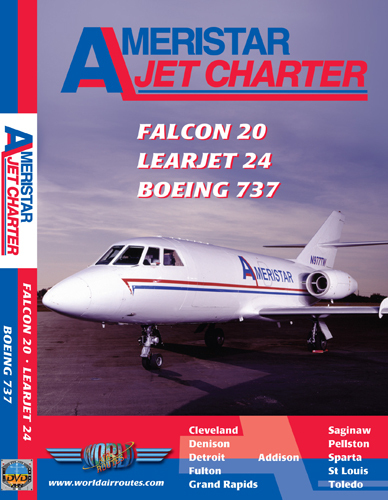 Ameristar Jet Charter's fleet is mostly composed of Falcon and Learjet aircraft used for on demand flights all over the US and around the world. 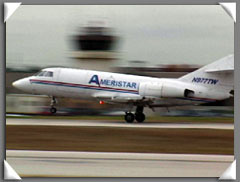 In addition the airline operates some larger Boeing 737s and Douglas DC9s. 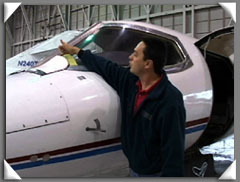 This program is the first presentation of the Falcon 20 and Learjet 24 and includes an external walkaround of the aircraft, a cockpit presentation as well as several flights in the cockpit. 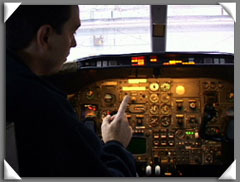 The dvd also includes a flight on the 737. This is our only Private Jet DVD in the series and you will be taken to many airports you won't see in any other program in World Air Routes! Here's a different DVD in this long-running series of jump-seat rides and walkrounds. We are taken inside a bustling U.S. on-demand charter company. They never know from day to day whether they'll be flying car spares, a major part of the business, horses, human organs or complete people. 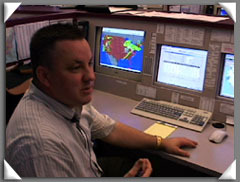 Most of their flights are complete within six hours of the customer's initial phone call .Their dispatchers are FAA licensed to handle every aspect of a flight. One dispatcher at the company 's Addison, Texas, HQ explains the complex colourcoded planning board showing crew (and their ratings), planes (and their status), all masterminded from a white board and magnetic labels! We are taken on a walkaround of a Learjet 24, Falcon 20 and Boeing 737. Then we get a briefing on the cockpits. The twelve flights we take in the jump seat visit Addison, Detroit, Pellston, St Louis, Denison, Sparta, Fulton, Toledo, Cleveland and Grand Rapids. 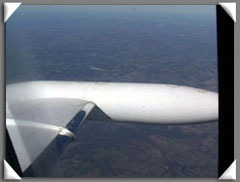 The company operates over most of the Americas and in parts of Europe. Everyone is totally professional, fast- talking and is at pains to explain their work and the aircraft to viewers, instructing the camera to close in on a static drain for instance during a walkaround. 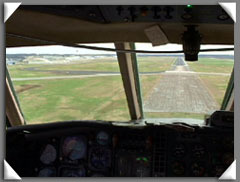 Once in flight, ATC sound is sometimes drowned by cockpit noise, hey, this is realistic folks, but all you 've ever heard about rapid U.S. ATC will be confirmed. 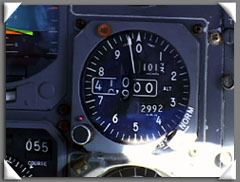 The close-ups of instruments are sharp, and I can clearly read on an approach plate being shown in the movie playing on another part of my computer screen as I type this... wow, that column is really being shifted around on the glideslope down into Grand Rapids. 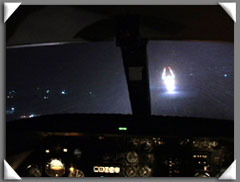 If you think flying is open-cockpits, green fields and summer evenings, this may not suit you, but this is real too, money-making flying as it happens second-to-second across the pond. The Ameristar DVD is now one of my favourite programs in the WAR series. I love business jets and the pilots who get to fly them are like the fighter pilots of the civilian world. Those things move! 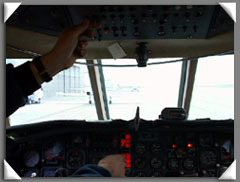 I was impressed with Captain Malecki's cockpit orientations of both the Lear and Falcon aircrafts. This lecture would be ideal for a flight simmer wanting to get familiar with those two aircraft as well as pilots-in-training who willl learn to fly these amazing machines. I loved the camera work in the video as well. We saw a nice variety of airports across the US and the dispatch lecture of how this company does things was quite unique and very interesting. Of course we can never be upset with a 737-200 classic being included in the program. Capt. 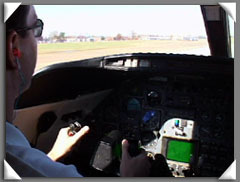 Sanders did a fine job outlining the major features of the 737-200 cockpit. 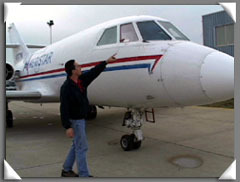 As an aspiring pilot, I always thought about flying corporate jets as opposed to just airliners. This video achieved it's goal in still allowing me to hold onto that other interest. Congrats on a superb project and of course as always I look forward to your future programs. I have just received my copy and have only had chance to watch about half of the program but I am already awe inspired to recomend this to others thinking of buying. The walk around and cockpit explainations are a little more detailed but quite well justafied because Captain Malecki is very good at explaining details of a type of aircraft we have heretofore not had in this WAR series. 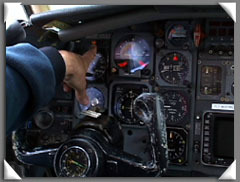 While I must admit at times I find detailed cockpit demonstrations boring, on this progam it is very interesting and I truly feel I have learned from it. Also it is really nice to have the USA on display in this series. thanks for a fine job guys! Well guys, you finally gave me my wish and an early father's day present! 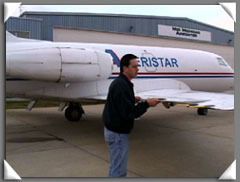 Our first DVD with business jets! 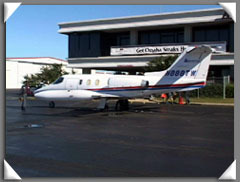 It is beautifully done and with all the heavy iron programs out there it is nice to see what it is like to ride on the smaller business/private jets into the smaller airports. What's more, it was a joy to see some of the good ol' USA scenery for a change and to see American pilots in action. Please keep them coming and keep up the good work! The Ameristar dvd is very well done. If you are like me and you really enjoy business jets, you will love this dvd. Captain Malecki displays considerable skill flying both the Learjet and the Falcon in difficult conditions. The landings at Sparta, Georgia (beautiful evening arrival) and Pellston, Michigan (at night in a snow storm) are particularly memorable. This dvd is easily one of my favorite dvds thusfar and I hope to see more dvds showcasing business jets in the near future - I really enjoy the business jets. Great job. Woow!!! Where do I begin? Ameristar is an absolutely fantastic program! One of the best in the World Air Routes series. 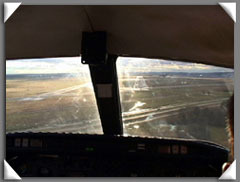 The Ameristar pilots and other personnel give very detailed and complete presentations, including walkarounds and cockpit tours on all 3 aircraft types. I've always wondered what it would be like to fly on a LearJet and now I know! What a thrill! The flights on the Falcon 20 are great also. This program has extremely well done camera work with a picture quality very close to High Definition : the best I've ever seen. Many thanks to Just Planes and Ameristar for a program that goes above and beyond the usual high quality of World Air Routes. Everyone reading this should buy a copy of this dvd. You would be crazy not to!!! You have done it again with the Ameristar DVD which I received and watched tonight. It is a GREAT DVD from Start to Finish and very informative. 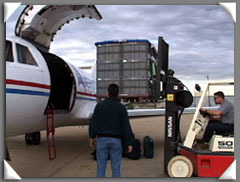 I was surprised that the LearJet and Falcon could be used in Cargo configuration. Capt Malecki was great with his explanations of the LearJet and the Falcon. He was very informative on the Aircraft Walk Around. 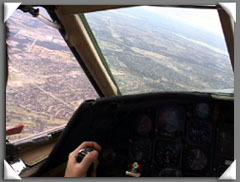 The flights in those 2 planes was very nice and Capt Malecki makes the viewer feel like He/She is in the jump Seat. Kudos to Capt Malecki and his F/O. Great Job. I was a little surprised to see the Capt help in loading and unloading ops. I really enjoyed all the locations flown into with the Lear and Falcon. 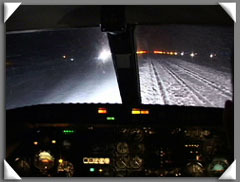 The Lear seems to operate well in the snow. The Dispatcher was also very informative when he explained about the dispatching of Aircraft and Crews shown on the board. I found it very interesting to see what goes on behind the scenes in preparations for a flight. 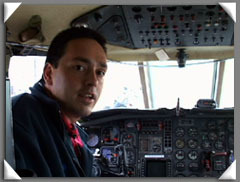 Capt Sander and his F/O gave Great information about the 737-234 Aircraft and the flight in this older 737 was nice. My Thanks to all at World Air Routes and to Ameristar for making this DVD possible. I Highly recommend this one to all.